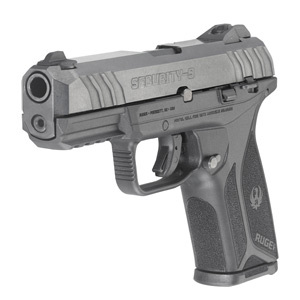 Sturm, Ruger & Company, Inc. (NYSE-RGR) is proud to introduce the new Security-9® pistol. 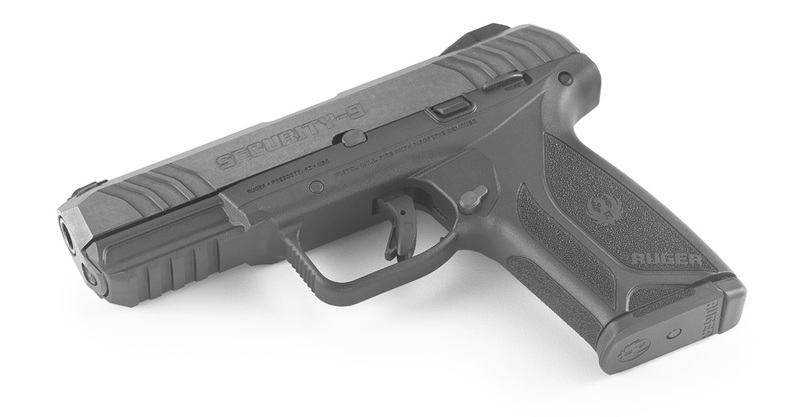 Ideal for everyday carry and self-defense, the Security-9 is an affordable, rugged, mid-sized centerfire pistol that provides everyday security in the perfect caliber, size and price point. Chambered in 9mm Luger and utilizing a 15-round, double-stack magazine, the Security-9 strikes the perfect balance between a compact and full-size pistol. It is small and light enough to be easily concealed and comfortably carried, yet has twice the capacity of slimmer 9mm Luger pistols. At the range, both new and advanced shooters will appreciate the easy-to-rack slide; short, crisp trigger pull; eye-catching sights; and ergonomic, textured grip frame. The American-made Security-9 is constructed around a rigid, one-piece, precision-machined, aluminum chassis with full-length guide rails; a blued, through-hardened alloy steel slide and barrel; and a high-performance, glass-filled nylon grip frame with an integral accessory rail. The Secure Action used in the Security-9 is the same as the LCP® II and is derived from the reliable and proven hammer-fired LCP fire control system, combining the smooth trigger pull of the LCP with the short, crisp feel and positive reset of a single action. Safety features include a bladed trigger safety, external manual safety, neutrally balanced sear with significant engagement and strong spring tension, and a hammer catch to help prevent the hammer from contacting the firing pin unless the trigger is pulled. "The Security-9 is a yet another example of what we do best here at Ruger: deliver new products to the market that combine innovation and value," said Ruger President and CEO, Chris Killoy. "We expect our customers are going to be excited to buy the Security-9; they will definitely enjoy shooting it." The new Security-9 features a 4" barrel and weighs just 23.7 ounces with an empty magazine. It ships with two alloy steel magazines and a cable locking device. For more information on the Security-9 or to learn more about the extensive line of award-winning Ruger firearms, visit Ruger.com or Facebook.com/Ruger. To find accessories for the Security-9 and other Ruger firearms, visit ShopRuger.com or your local independent retailer of Ruger firearms.